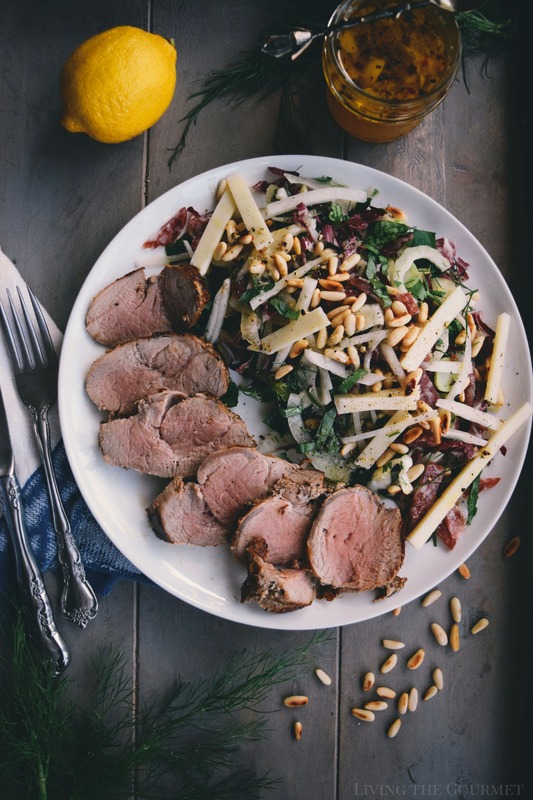 Keep your summer festivities easy and delicious with Smithfield Roasted Garlic & Cracked Black Pepper Fresh Pork Tenderloin served alongside an elegant, refreshing Fennel & Arugula Salad! “It’s fun to have fun but…you need time to have fun,” alright maybe that’s not quite how the saying goes, but that’s certainly often how it ‘feels.’ Backyard get-togethers under the sun, barbecues that would make Odysseus himself jealous, and cookouts on the beach are all well and good…but if that’s one’s sole source of ‘summer flavor,’ then the summer will assuredly be quite bland for the busy amongst us. I’ve spoken a lot lately about summer fun, and I noticed that I hadn’t posted any tips or recipes for those on a bit of a schedule. After all, we’ve all been there at some point. The days are blissfully long and pleasantly warm, but by the time you’ve come home or finished whatever needed ‘doing,’ you’ve either been worn thin or it’s almost time to start all over. 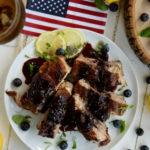 For precisely that reason, the summer has its own variety of ‘thirty-minute meals’ and ‘gourmet left-overs’ that keep the flavor of the summer alive – and naturally, that’s where today’s recipe comes in. 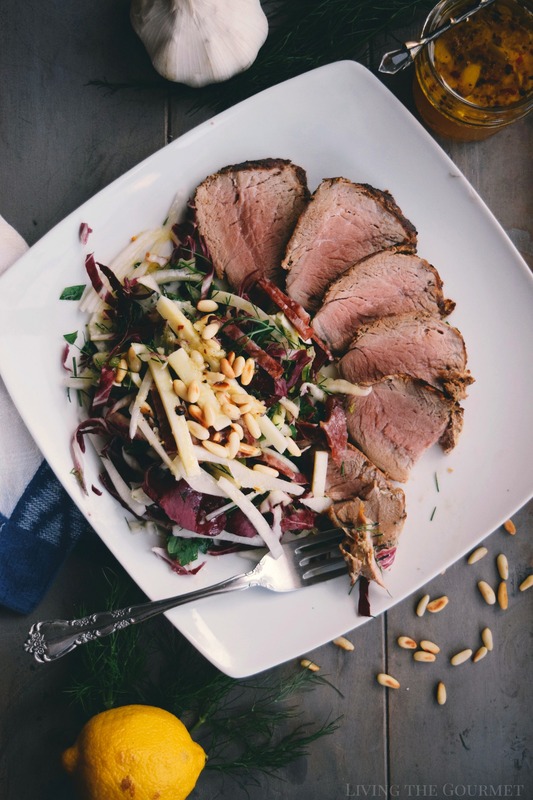 Smithfield Roasted Garlic & Cracked Black Pepper Fresh Pork Tenderloin with Fennel & Arugula Salad, prepared in just thirty minutes. 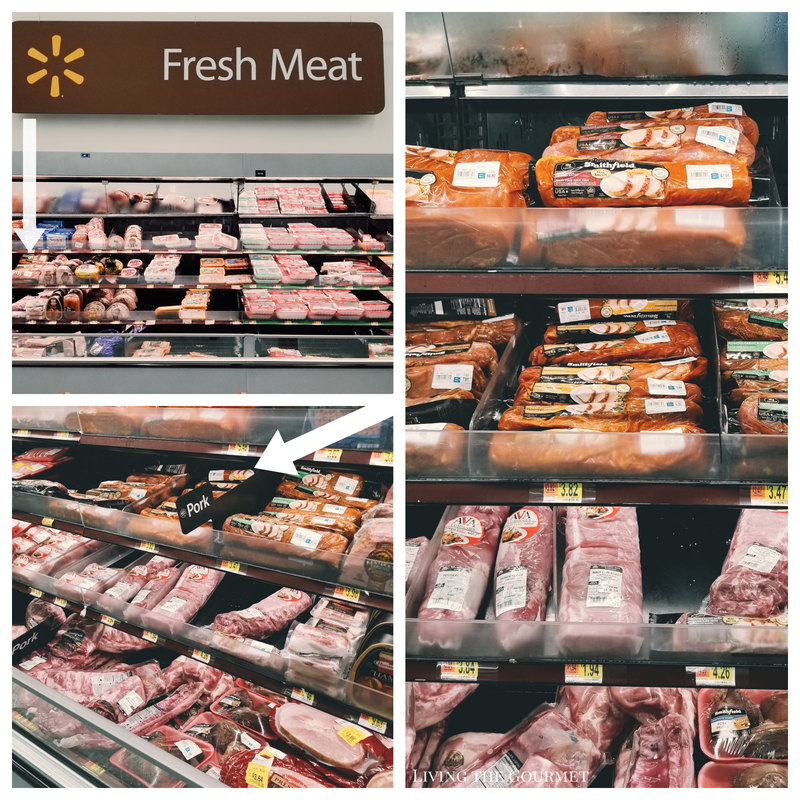 To start things off, we begin with the Smithfield Marinated Fresh Pork, which is readily available at your local Walmart in the Fresh Meat department. Smithfield Marinated Fresh Pork is 100% pork prepared in fresh, real ingredients, making it a hassle-free solution for any night of the week. They use ingredients that you can pronounce, which makes me a fan, such as pork broth, vinegar, salt, and assorted spices. To prepare, simply follow the directions on the package. 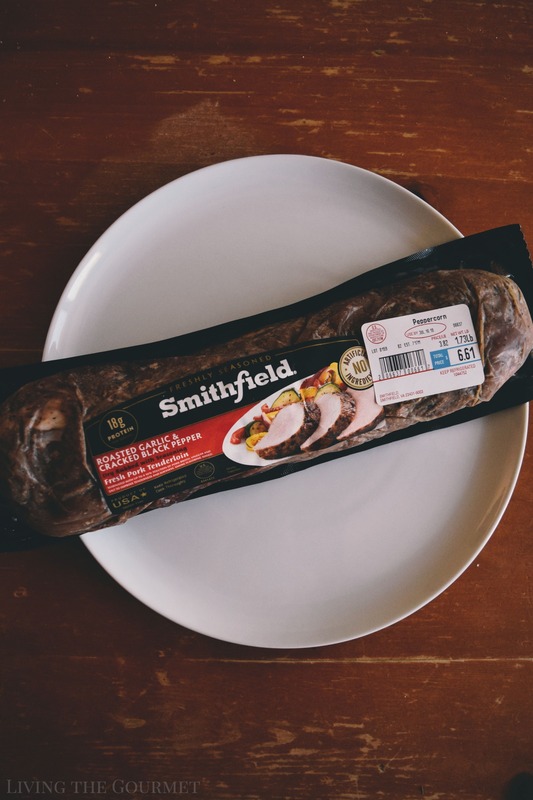 Grill, roast, sauté or slow-cook, however, you prefer your pork, Smithfield® delivers with a deliciously marinated and perfectly seasoned cut of meat, making it perfect any night of the week! From there, we prepare the arugula salad while the pork cooks. To start things off, we heat a large cast iron frying pan, dry, and set some pine nuts in the pan to roast for about a minute or two, but no longer, moving them around as they roast to ensure that they are toasted on all sides. Then remove them from the pan and set them aside. After that’s done, slice the fennel, arugula, and the parsley as shown below, and then toss them together in a large bowl. After that slice up some salami, some Asiago cheese, and a large black radish, and serve that alongside the salad with the pine nuts as toppings. Once that’s done, the pork should be ready, and just like that, you’ve all the flavors of the summer in just under thirty minutes. Prepare the Smithfield Roasted Garlic & Cracked Black Pepper Fresh Pork Tenderloin as directed on the packaging. Combine all of the ingredients for the dressing in a bowl and whisk. Taste the dressing to adjust to your taste. Heat a large cast-iron frying pan and place the pine nuts into a dry pan for a minute or two, moving them around to toast on all sides. Do Not let them burn, they toast quickly. 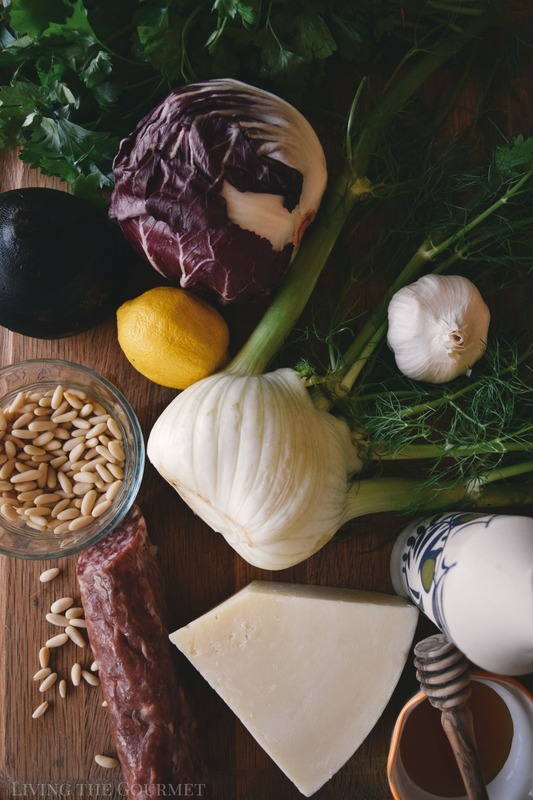 Slice the fennel, arugula and chop the parsley and toss together in a large bowl. Place the salami, pine nuts, radish and cheese in a small bowl for serving with the salad. Serve with the Lemon and Honey Salad Dressing alongside the sliced tenderloin. Now, since we don’t want to stop there, the pork reheats excellently for leftovers. First, and most obviously, you could simply slice the leftover pork thin and serve it over the salad left-overs as a light lunch. Or, if you’re feeling more ambitious, you could cube the pork left-overs, and prepare those in wraps or as fajitas with some grilled peppers, sliced onions, mozzarella or cheddar, some sliced avocado, and a dash of hot sauce. For nights where you aren’t strained for time, you could also chop up the remaining pork, add it to your favorite marinara sauce recipe, and set that over pasta. And, finally, for more inspiration, don’t forget to check out SmithfieldGetGrilling.com, where you can nominate whoever inspired you to ‘get grilling’ for a chance to win $5000, as well as get some delicious ideas for grilling. 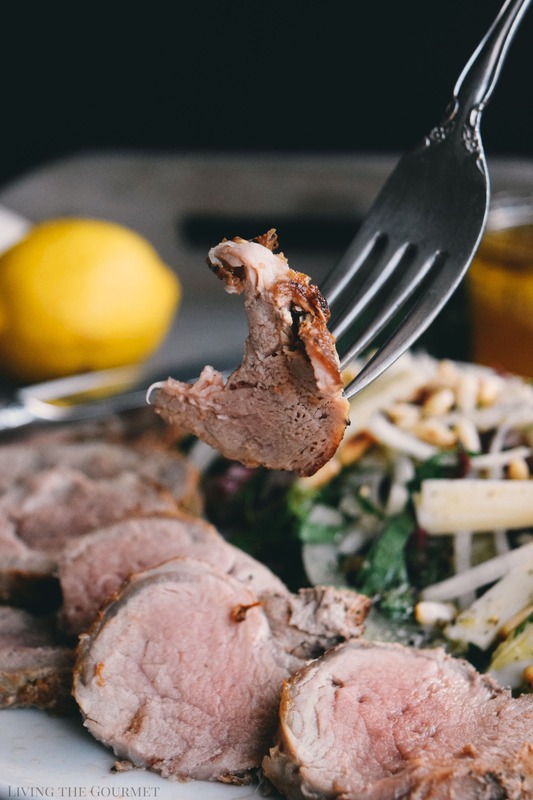 That pork loin looks so tender and juicy...simply yum, but that arugula salad is my favourite! Yum! I can't wait to have this for dinner and then take the leftovers for lunch the next day. I'm always looking for things that make good leftovers. I love arugula its really my favorite green . I can just imagine how these delicious flavors will enhance the taste of this amazing looking tenderloin. You're so right ... our summer days are either dog quiet or busier than all you can eat wings night. I love this idea for an easy but really nice meal ... will have to pick up a tenderloin next grocery trip. 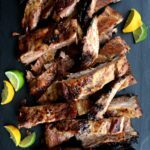 Pork is one of my favorite meats and this meal that you are presenting it is just superb. Love the pine nuts and the salad with the fennel. Great combo! What a lovely meal. Perfect for hot summer evenings. It looks light but loaded with flavor. 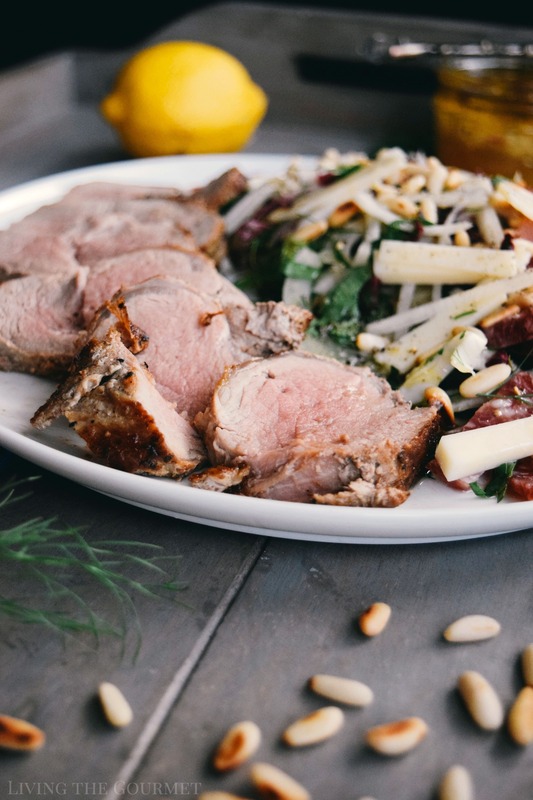 Arugula is such a powerhouse of nutrition and with the nuts and fennel - a great partner for the pork. I'm getting hungry just looking at it. I love this salad! Fennel and arugula are favorites of mine and I bet they are so good together! That looks tender and juicy and the flavors sound spot on. Garlic pepper sounds like just the right seasoning when you want a dash of garlic but not the whole glove. Saving this for later. This recipe looks absolutely delicious! I know my family is going to love pork tenderloin prepared this way. Thank you. 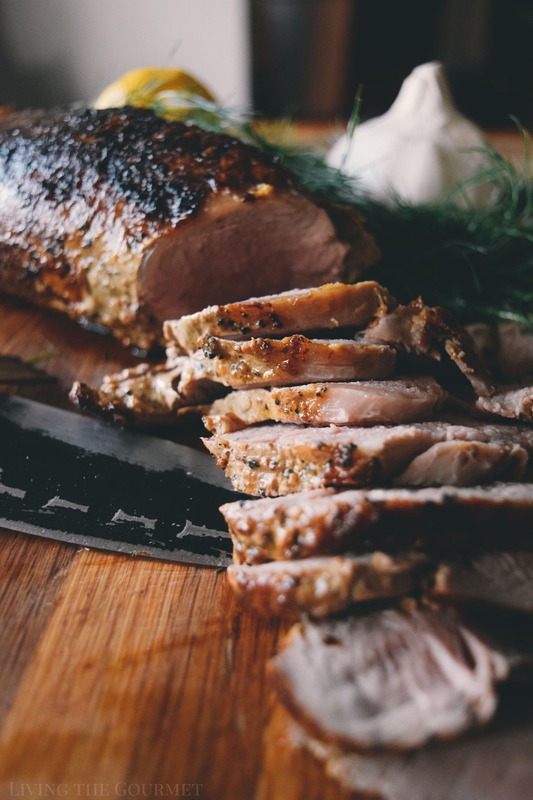 That pork tenderloin is cooked perfectly and looks so juicy and tender. I love the dressing on your salad and that you use fenel, which I could eat every day. Perfect dinner recipe! This looks so good! And your pictures are gorgeous! 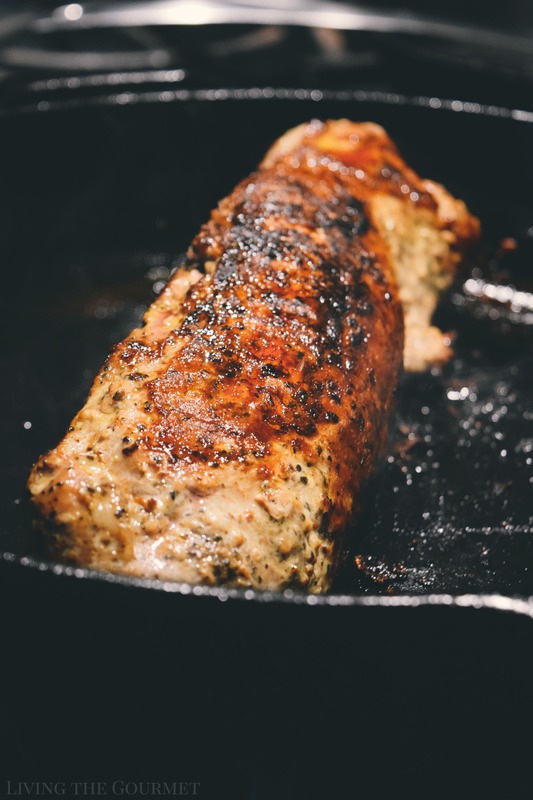 Usually pork tenderloin looks rather dry, but yours looks perfect and moist! I have some tenderloin in the freezer and I will have to try this soon! My family loves Smithfield pork! And the salad that you've paired with it looks like the perfect salad to accompany the flavors of the pork. I have to say I'm impressed with how tender and juicy your Smithfield Tenderloin looks! They have them on sale at our market and after seeing your delicious recipe I'm going to take advantage of that sale. This looks so amazing! I would love to serve this up at a dinner party!! Looking good and it sure sounds like a very nice dish! We are pork lovers here. Tenderloin is such a great cut of meat. You can do so much with it. Cooks quickly, little fat....and turns out juicy and delicious. Fennel is a great paring too. I love Smithfield pork and their tenderloin is so delicious! 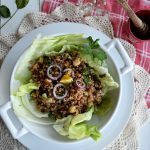 Your recipe looks both delicious and easy and I love that you paired it with a fennel and arugula salad! Your photography is aweeee-some. What a delicious plate of salad. If I can substitute pork with lamb maybe? Do you think it will work? This all looks amazing, especially the salad! I love the bite of arugula salad, the lemon will be perfect with it, and I think I'll add extra Asiago on top! 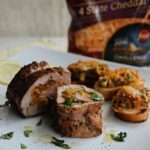 Pork tenderloin is such a great solution for an easy and tasty dinner. Love the side salad with this one too! Beautiful photography! You are right summer is still at busy time for me but I want to enjoy the weather so I'm constantly looking for quick 30 minute recipes to make...thank you!! Pork tenderloins are one of my favorite go-tos for quick but 'elegant' dinners. They're super quick and easy to fix, yet you can create a nice healthy dinner. 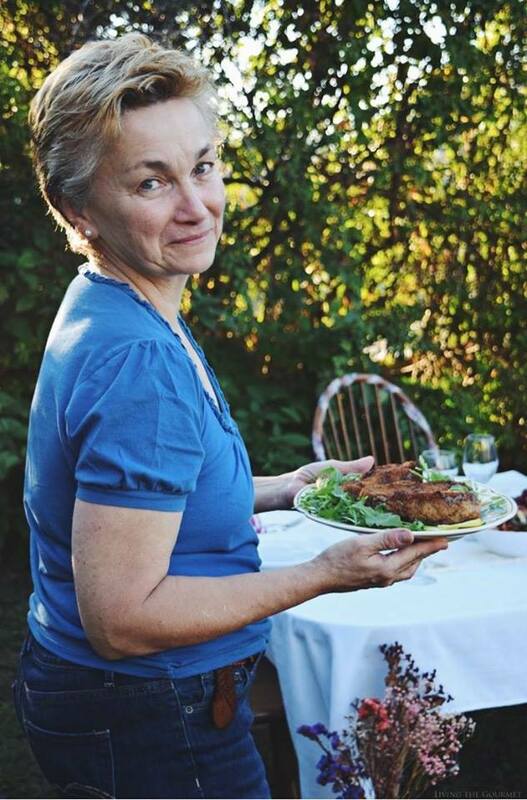 Your salad sounds amazing, perfectly paired with the pork tenderloin flavors. I wish I could put roasted garlic on everything. Well, okay... maybe not everything. But ALMOST everything. This looks awesome! I am in LOVE with this recipe...so much flavor! And those pictures! To die for! My mouth is watering!! 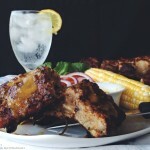 Such a great post and recipe! Pork tenderloin, juicy and scrumptious. This look like a family pleaser. Oh geez, the pork loin in the skillet browned and crusted! It looks amazing!